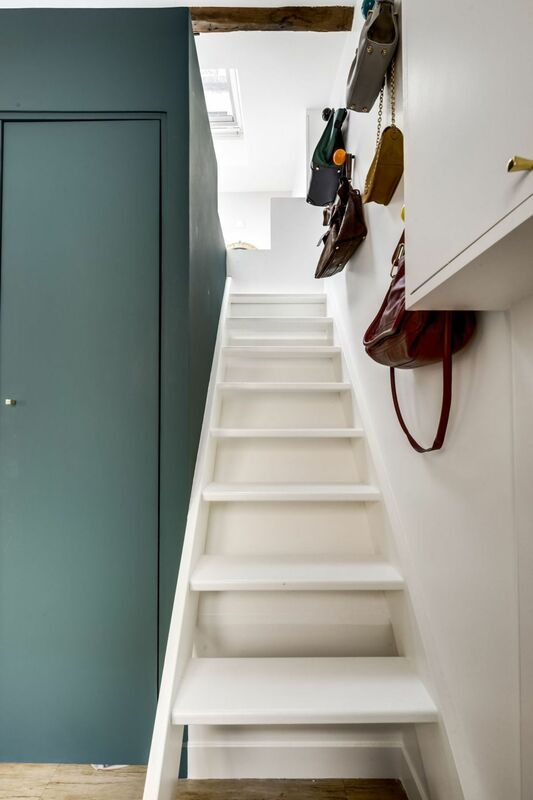 Attics often remain neglected and used as storage rooms. 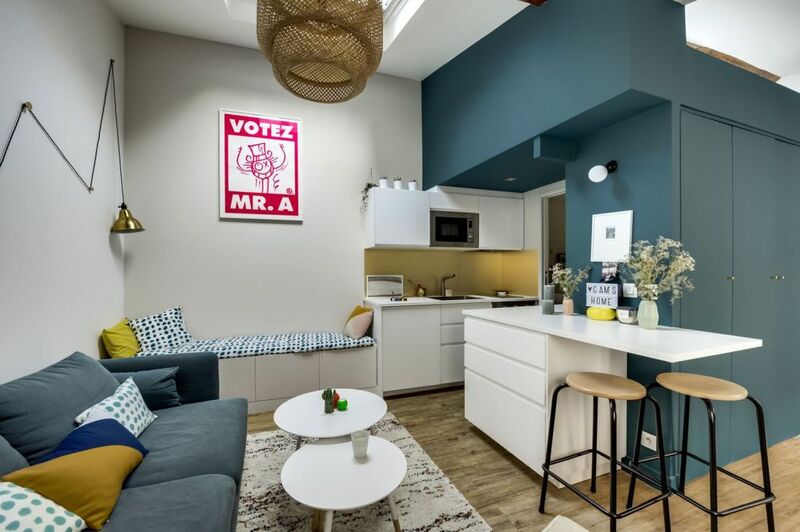 With limited living areas of the city residences however, the attic allows interesting options for adding both, space and value to the main property. 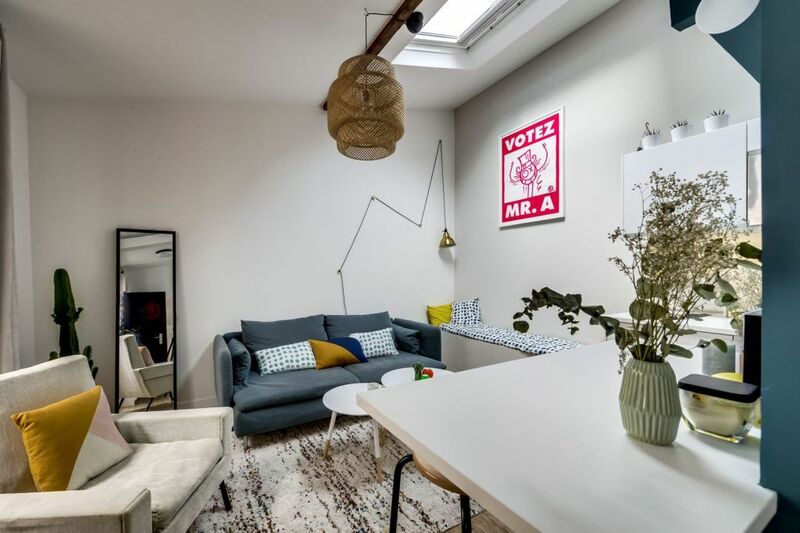 Here is an example of a highly creative solution, where a small abandoned attic in Paris has been turned into a cozy studio-apartment. Authors of the project are the interior designers Julia Schmit and Anne Fath of June agency. 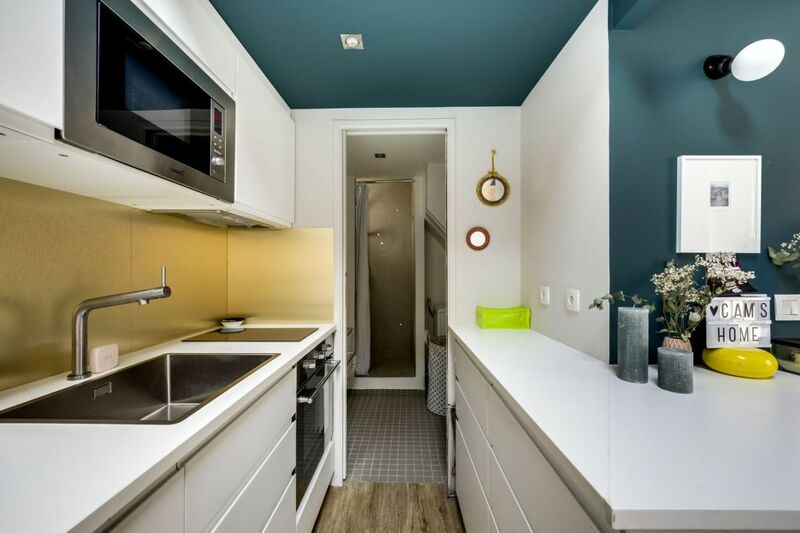 They have managed to brilliantly optimize the limited 290 sq ft / 27 sq m – area, finding place for a kitchen-dining area, a living room, a bedroom, and a bathroom. The secret of the success of their project lies in vertical planning. Yes! 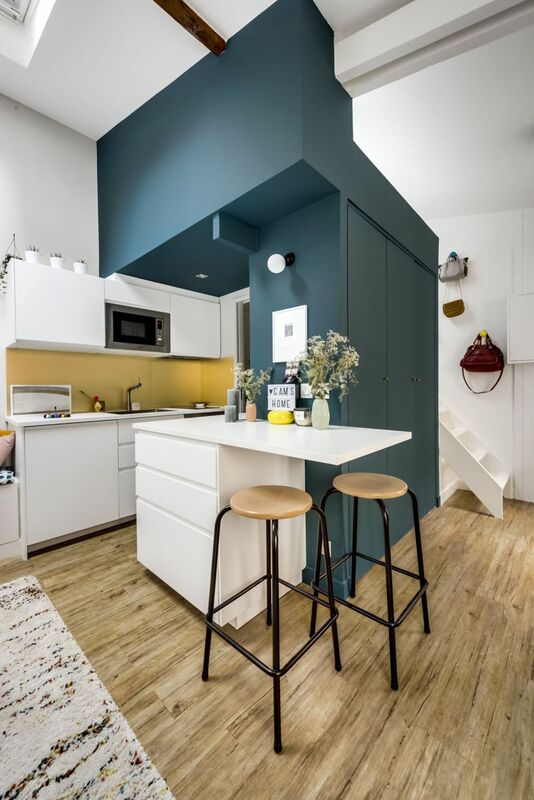 Small as it is, this studio has ‘downstairs’ and ‘upstairs’! 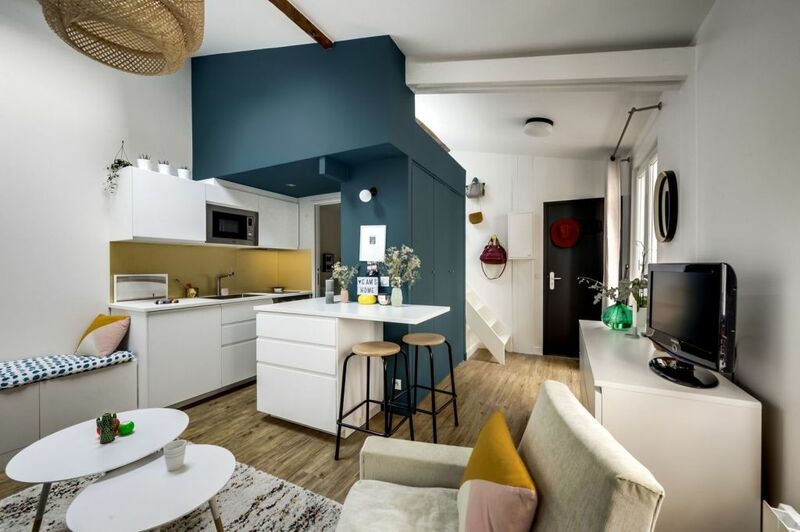 Downstairs, the designers have fitted in a small and cozy living area featuring furniture items and colors within the main lines of the modern interior design style. Simple and stylish! 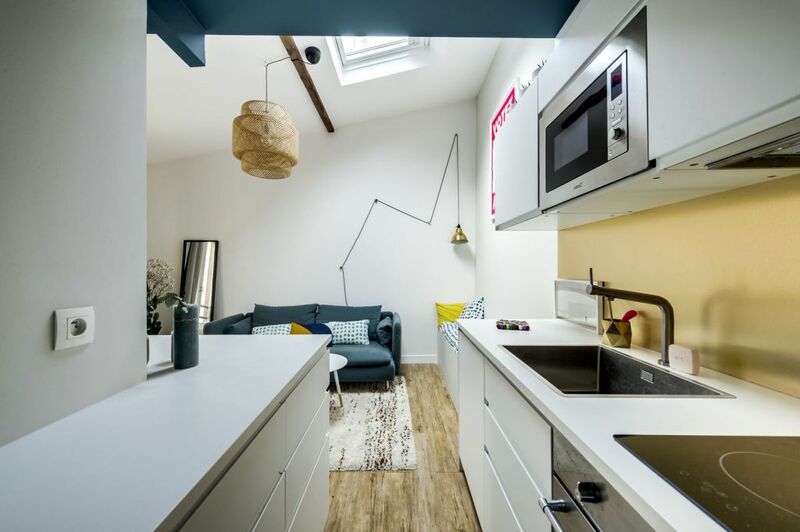 Through an open-plan layout, the living room flows into a small but very well equipped kitchen-dining room area. 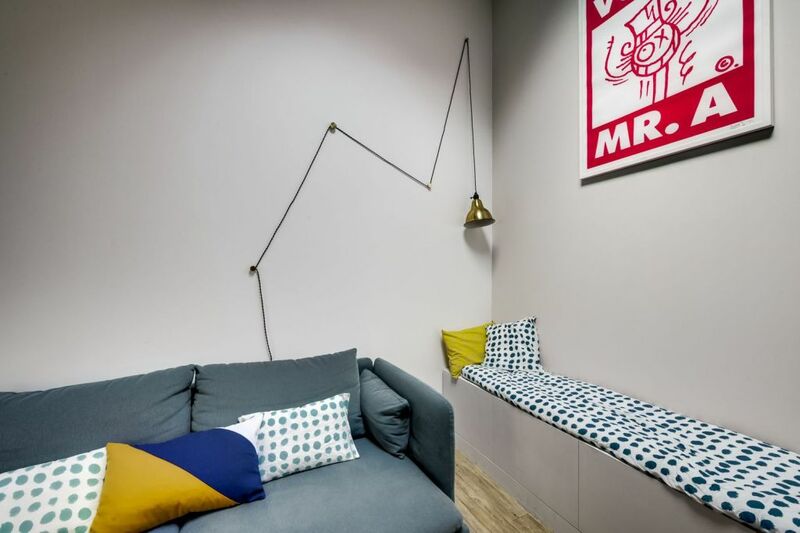 It is partly separated from the common area by a smart architectural element – a tall, wide, multifunctional column. From the living room side, this structure provides a convenient space for an inbuilt wardrobe. 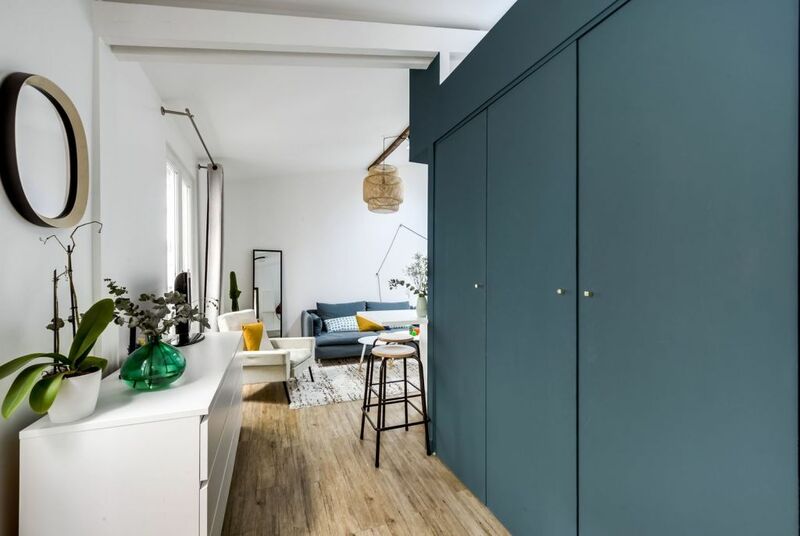 From the kitchen side, it allows storage cabinets with a worktop extending into a dining table. Finally, the column serves as a solid support for the small loft bedroom upstairs. 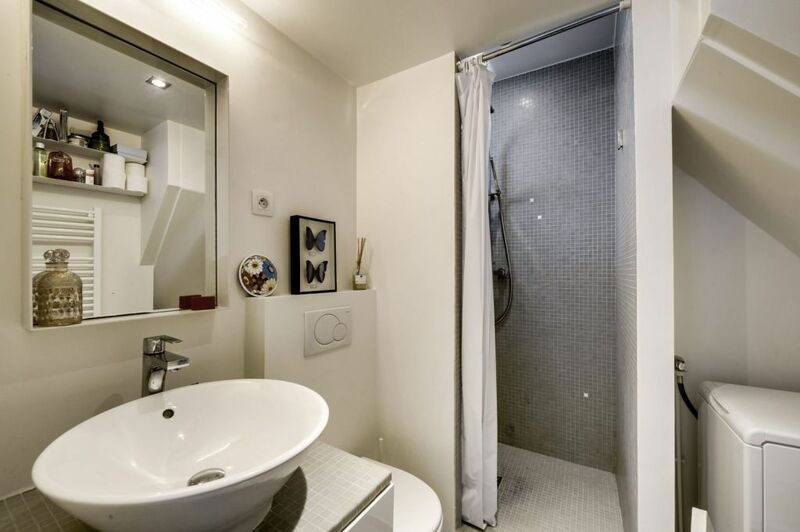 The ‘corridor’ behind the column leads into a small WC-bathroom area furnished with everything necessary – from a convenient washbasin and bathroom cabinets, to a shower cubicle and a toilet. They have even found a place for a washing machine there! Passing by the opposite side of the column, there is a wooden staircase leading upstairs to the bedroom. And while the area up there is very small, it is still enough to accommodate a bed and a couple of shelves. 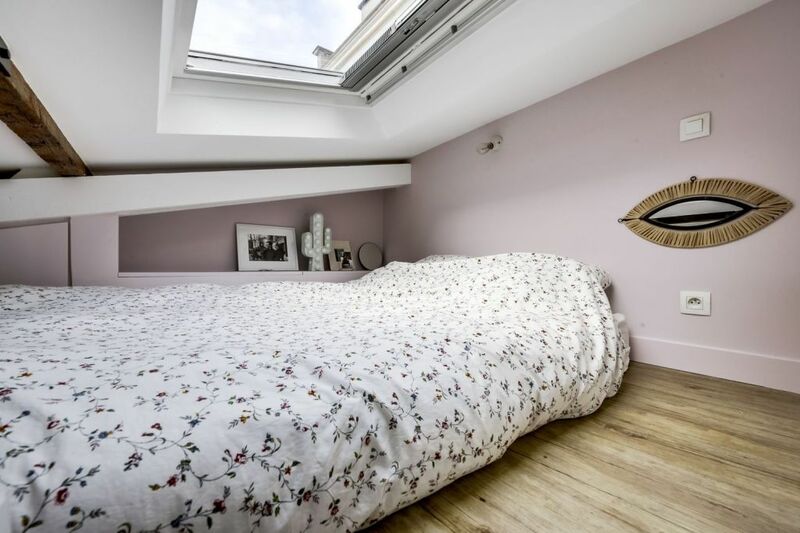 The bed is placed right under a small skylight, providing light but also a very romantic view to the skies of Paris.